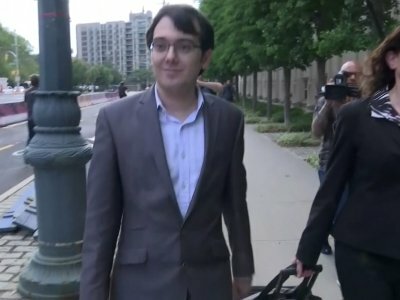 Shkreli, the boyish-looking, 34-year-old entrepreneur dubbed the “Pharma Bro” for his loutish behavior, was handed his punishment after a hearing in which he and his attorney struggled with limited success to make him a sympathetic figure. His own lawyer confessed to wanting to punch him in the face sometimes. The judge insisted that the punishment was not about Shkreli’s online antics or his raising the cost of the drug. “This case is not about Mr. Shkreli’s self-cultivated public persona ... nor his controversial statements about politics or culture,” Matsumoto said. Defense attorney Benjamin Brafman described Shkreli as a misunderstood eccentric who used unconventional means to make his defrauded investors even wealthier. He told the court that he sometimes wants to hug Shkreli and sometimes wants to punch him , but that his outspokenness shouldn’t be held against him. “It’s like the kids today who hit send before they really understand what they texted,” Brafman said. Shkreli seemed to treat the case like a big joke. After his arrest in December 2015, he taunted prosecutors, got kicked off of Twitter for harassing a female journalist, heckled Hillary Clinton from the sidewalk outside her daughter’s home, gave speeches with the conservative provocateur Milo Yiannopoulos and spent countless hours livestreaming himself from his apartment. Last fall, the judge revoked his bail and threw him in jail after he jokingly offered his online followers a $5,000 bounty to anyone who could get a lock of Clinton’s hair. Another supporter said Shkreli’s soft side was demonstrated when he adopted a cat from a shelter — named Trashy — that became a fixture on his livestreams.